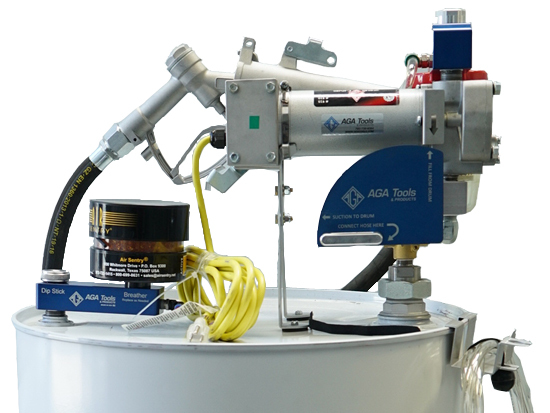 AGA TOOLS & PRODUCTS, INC.
Our AGA Lift Table is designed off the feedback of numerous workshops around the country in need of a lift table that is smaller and not so high price point. With the small table, it's much easier to move around within the shop and much easier to find a storage location for it. What makes it unique? It's made to work on BMW and MINI. The Lift Table weighs in at 620lbs, has a footprint measurement of 57" x 29" and the platform measures 48" x 24". 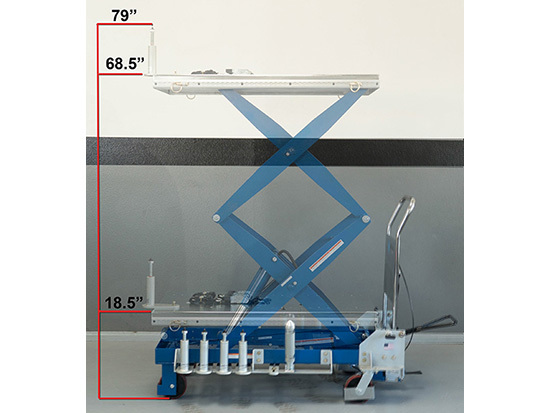 With dual hydraulic cylinders and wide scissor arrangement, this Lift Table has the weight capacity of 1,500lbs. A table of this size and capacity of a table double its size, it only makes sense to own one! The handle of the table is capable of locking in 5 different positions, which avoids interference with the chassis and efficient movement. Included with the Lift Table are a set of fixtures designed by us. The fixtures create a dynamic universal fitment for any vehicle manufacture. Removing a subframe? Rebuilding a transmission? Replacing a complete engine or battery pack on a hybrid? 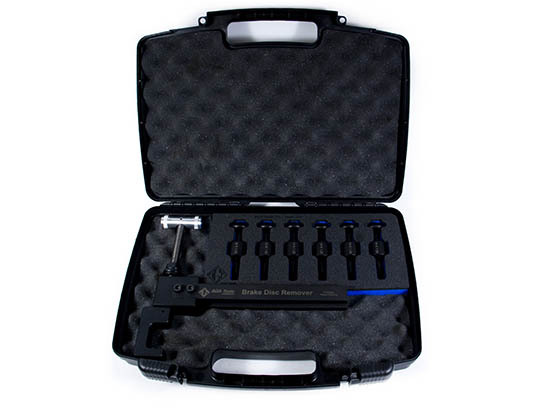 Adjust the fixtures and adapters to suit your needs and you're good to go! Not using the fixtures? A storage rack of both sides of the Lift Table is securely mounted to the Lift Table to optimize space and less chances of losing the fixtures. 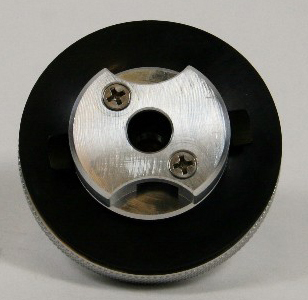 The transmission head adapter is part of all the fixtures. Actual transmission head is NOT included. 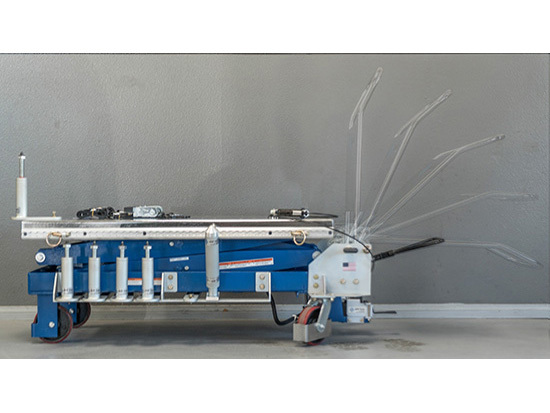 The Lift Table also features a dual-speed pump assembly for fast and/or precise lifting. Need to lower it? 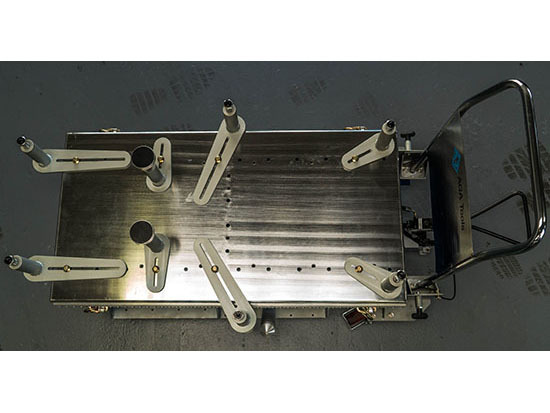 The Lift Table has 2 lowering controls, a fixed position foot control or remote lowering hand lever. Nothing makes a job easier and faster when you can precisely control the Lift Table. To help with making sure everything aligns properly, the Lift Table includes a placement guide with plumb bob that has a magnetic attachment point that will attach to almost any parts of the vehicle. 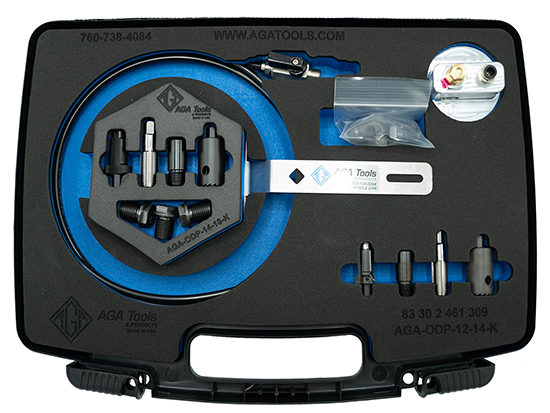 NOTE: When using the AGA Lift Table for engine removal, the AGA Strut Support must be used! 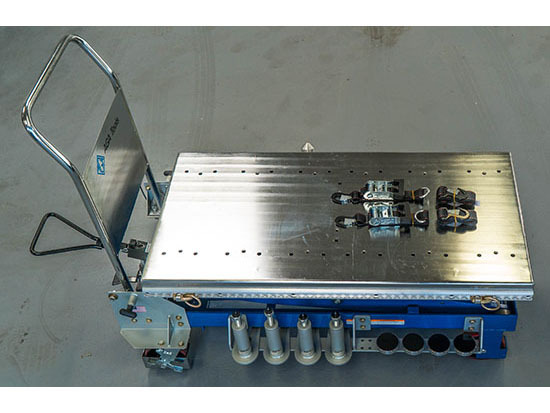 This bedplate does not split into 2 sections like other powertrain lift tables. (Gruse) A split table allows you to separate the engine from the drive train as a unit while on the table.